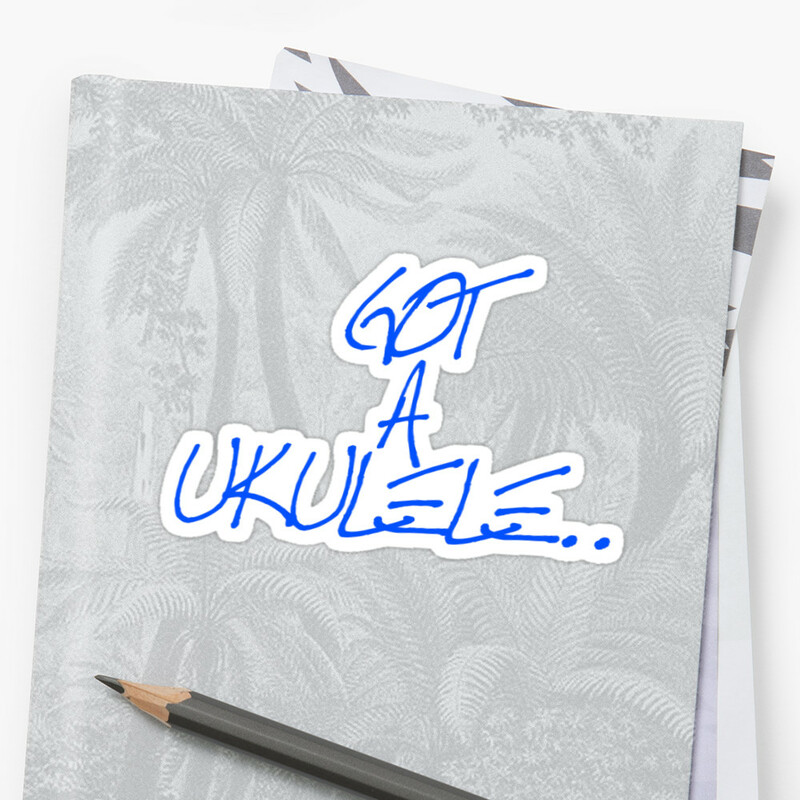 A first for this musical instrument brand on the Got A Ukulele Reviews page, and without wishing to pre-judge things, it's one I've been putting off for quite some time. Say hello to the Martin Smith UK-212 Soprano ukulele. So as I say this is very reminiscent of so many cheap brightly coloured sopranos. It's made of all laminate woods that are not obviously specified, and is covered in an overly thick shiny gloss paint coating. A bit of research suggests it's made from Linden wood. That's Lime wood or 'basswood' and is about as cheap and soft as tone woods get. But do not let the wood name lead you to believe this is something special. It's rough plywood. This one is painted red but it will come as no surprise to know that it comes in a range of other bright colours and a gaudy nationalist Union Flag design too. "Ooh look at the shiny shiny colourful thing on the shelf....! BUY ME!" Yep. Pretty much that. That's the reason things like this exist in such bright colours and perhaps they look ok from a distance, which I suppose this one does. However, when you examine it up close, the finish is really very poor and in places looks like it's been poured on straight out of a paint can and just left to drip dry. Elsewhere there are dints and dings that are showing through the gloss, chips and scuffs in the paint itself and an overall 'orange peel' ripple effect on the flat surfaces. My eight year old daughter could give this a better paint job. A look at the general body construction shows things are not great here either. The plywood top is extremely thick with rough shavings of wood hanging off the inside of the sound hole and the whole body feels over built, chunky and heavy. Resonant? Nope, not likely. Bridge wise we have a tie bar style bridge plate, screwed in place and holding an uncompensated plastic saddle. Whilst at first glance you might think that the plate is rosewood, or even another wood painted black, it appears to be actually made of plastic. There is no other decoration on the ukulele save for a badly applied double black ring transfer as the soundhole rosette. I mean, if you are going to put circles around the soundhole, you really need them to be centred.. My OCD alarm is going haywire. Inside is exactly what you would expect considering what I have told you so far. It's extremely basic, no bracing and with un-notched linings. In fact I am actually surprised there are linings at all as that gloss looks strong enough to hold the top in place on its own! There is no makers label, and the neck block looks like it has been hewn from a fallen branch in a forest, only one that they didn't bother to saw, or even sand, rather just snapped a bit off. Ugh. Up to the neck and again due to that thick red paint I have no idea what the wood is or how it is constructed. It's chunky in profile though strangely for a Chinese instrument has a wide (for a soprano) 36mm nut. Sadly though, that nut is set on a clear angle, rendering it pretty useless for accurate intonation unless the slots have been compensated (which I VERY much doubt). One other thing that stands out to me is how fat and overly chunky the neck heel is. Whilst it may be unlikely that beginners purchasing one of these are going to venture up to the upper frets, it just looks plain ugly. There is also a very noticeable splitting in the gloss finish where the heel meets the body which may indicate it is starting to come away. Topping this is a fingerboard that has a touch of end shaping, but again we have no idea what wood it is as the whole thing is painted in matte black. I am not sure what the frets (12 of them, all with sharp ends) are made of. They may be brass, they may actually be painted gold. What I can say though is with no effort at all my metal string action gauge easily scratched them, so they are pretty soft metal. And when it came to painting the fingerboard, they obviously took cues from the Martin Smith body painting department.. Splashes of black paint overlap many of the frets, and on the sides, splashes of red appear on the black. It's a total mess. There are no postition markers at all, either on the outward face or on the side. Beyond the mis set plastic nut, we have (what else) a generic crown headstock with the Martin Smith logo applied very simply in a white transfer. Naturally it's not applied straight, but we can't have everything I suppose... Around the A string post hole is a chip in the wood clearly created by a ham fisted drilling of the post hole, but it has just been roughly painted over in a poor attempt to hide it. A quick word on that name at this juncture. I have no idea who Mr Martin Smith is (or whether he exists, he probably doesn't), but seriously.... when one of the most revered names in ukulele and guitar history is 'Martin', I think that naming your brand 'Martin Smith' is, well.. utterly crass. It's like launching a range of guitars named 'Bill Taylor' or 'Tom Reed Smith'. 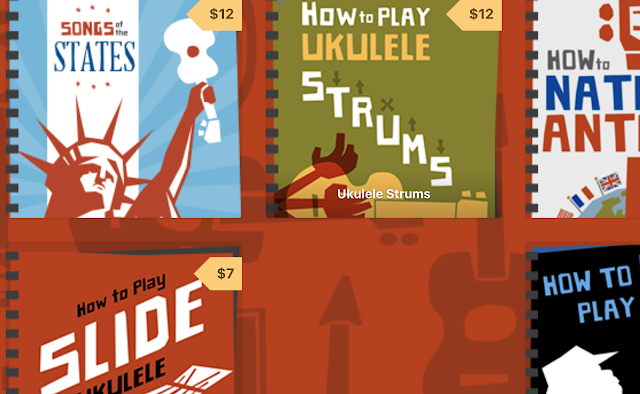 Maybe it helps them crop up in Google searches when people are searching 'Martin Ukuleles'. Tuning wise we have cheap looking open geared pegs with overly large black plastic buttons. They are on brackets mounted in pairs, two a side, one bracket of which is bulging and bent because it seems the peg holes are not accurately drilled so it needed to be forced in place. On the face of the headstock we have black plastic bushings, one of which is not seated properly and will not push in place either no matter how much I push it, again probably down to the badly drilled peg holes. They really are pretty poor. They have that typical telltale grind on one or two of them, and completely different turning tensions on all four. They have play in the posts too and are frankly awful. And I didn't even need to get on to my usual gripe about them not being rear facing on a soprano. They are bad enough as it is! The UK-212 comes with un-named white nylon strings which are completely dreadful. They may be going for the 'look' of Aquila, but they are anything but. Slippy, low tension and just not very pleasant on the fingers. They also took an absolute age to hold tuning which leads me to believe they are cheap soft nylon. You also get a thin (anorak thin) gig bag which is really only useful for keeping the dust off. For that you are looking at a price of about £20 in the UK and $35 in the US. Firstly, in the hands it feels clunky and overly chunky as I say. It feels heavier than I would like and is also neck heavy. Setup is terrible, particularly at the nut which has one of the highest set nuts I think I have ever seen on a review ukulele. That doesn't bode well, and at the 12th fret we are at 3.25mm which is also too high. That overly high action makes for a truly uncomfortable playing experience, particularly on the fretting hand, making this one of the first ukuleles I have played where my fretting fingers got tangled in the strings! And that high nut also does a fine job of throwing out the accuracy of the notes in first position chords too. It seems lazy to describe the overall tone in terms of 'rubber bands on a tissue box' in quality, but it really is about the most accurate comparison I can think of. It's lifeless, completely lacking in volume and has poor sustain. I think the C string may be dead in any case as it has a really strange echoey tone compared to the others, but honestly, that's the least of the problems here. The dreadful setup and the misplaced nut means that even when in tune played open, you just simply cannot play a simple chord and keep it in tune. It's just sounds woeful and nasty. And beyond me not liking the build OR the sound of the instrument, there is one other thing that also irritates me about brands like Martin Smith. And that is how they use 'creative' product descriptions to try to project a sense of quality that just isn't actually there. Take a look at some of these lines from actual Martin Smith product listings. 'Quality metal tuning pegs' - No, as I say above, they are cheap, generic and don't work very well either. Using the term 'metal' to denote something 'special' when it comes to geared pegs also makes me laugh.. Aren't most, if not all geared tuners made of metal? 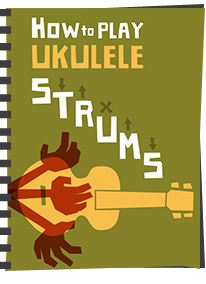 'Ultimate Ukulele Starter' - I have no words here..
'A rich bright and well balanced tone' - OK, you've really really lost the plot now Martin Smith..
To sum up, this is truly one of the worst finished and sounding ukuleles I have reviewed on this site. I despise the crass name, I despise the build and despise the thin lifeless 'rubber band' tone, I despise the non existent quality control. 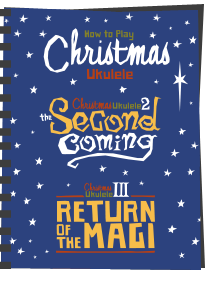 It's completely generic, and whilst some other generic ukes can be close to acceptable, or even a bit decent, this one is firmly at the other end of that scale. It's one of those ukuleles that really upsets me because it is this sort of thing which is SO readily available and is SO often chosen by beginners hoodwinked by that continuing media claim that the ukulele is 'cheap'. I've said it so many times before, choosing an instrument like this for a first timer comes with a chance of putting them off learning the instrument for life. There are people out there who may play one of these and think THIS is what a ukulele sounds like and what a ukulele is meant to be built like, because they don't think the ukulele is a serious instrument. And on the basis of this sort of standard, they never will. 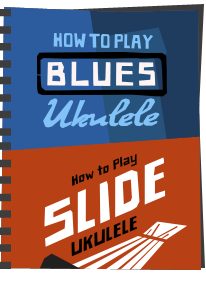 If utter garbage like this was wiped off the shelves, maybe, just maybe, a wider audience would take the ukulele more seriously. And just to kill of some of the other usual complaints I get when I review a cheap ukulele badly. Some may say, 'but I can only afford £20 - you are just being a snob'. I'm afraid i'd say this, and it certainly isn't a case of being snobby. 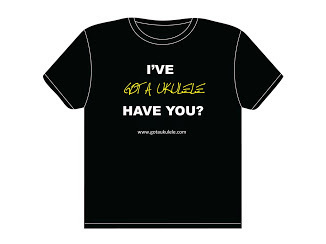 The ukulele is a technical musical instrument. It needs to do some basic things reasonably well to function reasonably in that job. That costs a certain amount of money needs some care. And even if you are child who perhaps gained £20 in Christmas or birthday money, you would do far, FAR better waiting for another birthday, doing some chores, or saving pocket money to get another £20 in the pot and then purchase something that works (Makala Dolphin or Shark springs to mind). When it comes to this one, being cheap is NOT good value for money, because it doesn't function as an acceptable ukulele. In fact it's actually terrible value. Some may say, ah, but you could try better strings, and you could improve the setup, oh and you could change those tuners. Yes, yes Absolutely. You could do all of those things. My question would be - why WOULD you though? I wouldn't waste my time or money. I REALLY hoped we were seeing the back of these by now. My advice if not abundantly clear? Avoid! The number of people (inc my missus) who have ukuleles of this 'quality', who spent the minimum possible on it (or got ripped off) is mind boggling; and also that they get offended when you criticise thier instrument, or tell them outright its junk. "But I spent £20 on it!" 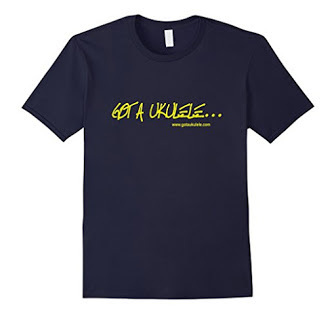 is often heard, "its' not that bad" or the even worse "That's what a ukulele is supposed to sound like"! ridiculous. Just looking at it, I would not buy it. It looks horrible! What was the tune you played? I really like it. Do you have the chords? I can't see it but I was literally cringing when I heard it and so was my husband. That's God Awful. I bought a makala dolphin for the family for Christmas as they all kept knicking my lovely Kala concert and it's a good little instrument. Definitely worth the money and sounds even better now with Aquilas on it. I just made my first Ukulele and feel a bit ashamed of it, but this Martin Smith changes that a bit. having said that this Uke, still comes a good second to one I just sent back that arrived with a plastic fretboard held by 3 screws! Are these closely related to the ukes sold in Lidle? At least the ones you trialled have geared tuning pegs, the Lidle ones seem to rely on friction to hold their tuning but of course as soon as you put tension on the strings the friction ' gives'. Actually ignore that last question, the M Smith sounds better than the Mahalo which tells me everything.... Ive just ordered a Makala Dolphin to learn on. !! !